Now in order to ensure the safety of the passengers in some public transportation places some equipments have been used such as the handheld metal detector, X-ray baggage scanner and many other device has been used in the places as the airport, subway station, railway station and so many other public places. And here what you are viewing is the X-ray Baggage Scanner for Airport and Subway Station, which is one of the security checking devices to ensure the safety condition. This X-ray scanner has taken use of the high technology and can be connected to the local area network and support multi-terminal check baggage at the same time. Besides when found the risk object this X-ray scanner can give the alarming and light indication so that the operator can notice that in time as the Alarm by sounds and light system has been applied on this advanced X-ray baggage scanner. Moreover this X-ray scanner applies the safety ray as the transmit ray under automatic control, avoids the miss. 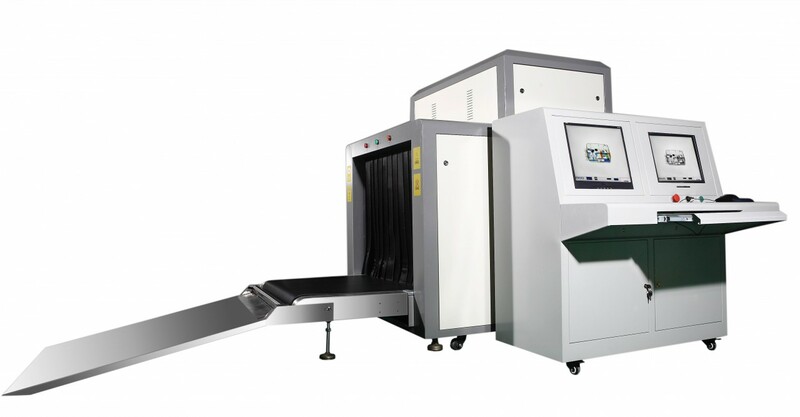 Besides this X-ray baggage scanner is easy to operate as the turn off the machine only need one step, and the operator just need to revolve the key and the equipment automatic security close-down, does not need complex many steps, which is really simple. Thus it owns wide tunnel size which is 1000（W）×1000（H）mm and Conveyor Speed is 0.22m/s. Also owns 230 kg Conveyor Max Load is another big advantage of this X-ray scanner. More details are as follows and want to know more just take a glance at them. The delivery is punctual and even faster than i have imagined. I admire this attitude very much. The product is of good quality and the price is reasonable. It is worth the price. The design is just as the same as I required. The after sales service is wonderful and the service is very thoughtful. I bought it for a long time and it can still work very well. The quality of the product is really good.